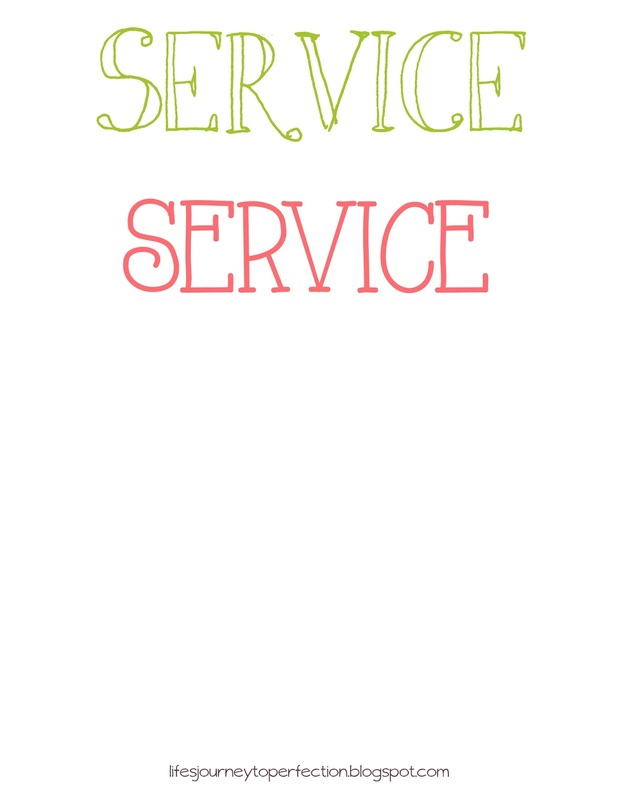 Life's Journey To Perfection: LDS Sharing Time September 2014 Week 2: By giving service to others, I give service to God. 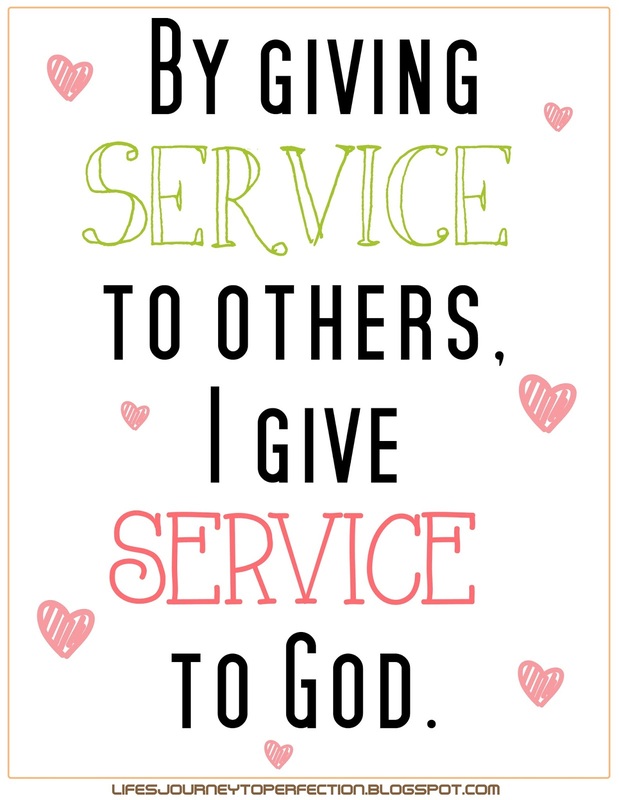 September 2014 Week 2 Topic: By giving service to others, I give service to God. Items to gather: Story or video of "The Coat". Poster and word strips. Tape. Music to "Give, Said the Little Stream". A coat if acting out the story. Begin Sharing Time by showing the children the poster. Have them read it with the words (Service) missing. Ask the children to help you find the missing words. Invite one child to hold the magnifying glass and go out into the hall, while another child hides one of the "Service" word strips on the wall somewhere in the primary room. Have the children sing, "Give, Said the Little Stream", while the child with the magnifying glass tries to find the word. Have them sing quietly when the child is far away and louder as he gets closer to the word strip. Place the word strip on the poster. Continue with the other word strip. When both word strips are on the poster, invite the children to read the phrase together, "By giving service to others, I give service to God." Show or tell the story, "The Coat". It is the story of President Heber J. Grant's sacrifice and act of service, in regards to him giving a child his new coat. The story can be found in the 2014 Sharing Time Outline, under September week 2. If telling the story it might be fun to have the children act out the part where Heber J. Grant gives the child his coat. Share an example where you either served someone else or someone served you. Invite the children and the teachers to share their experiences of service. Close by sharing your testimony on the week's topic and invite the primary children to seek opportunities to serve others.